We’re excited to debut a new fundraiser this year called FLAMES, which will bring together hundreds of people for a night of gourmet food and drink to help fight hunger in New Jersey. The event will be held on Thursday, September 13 at Factory 220 in Passaic, NJ and will feature exclusive tastings from several of the Garden State’s top chefs. As our lineup of renowned chefs serve some of their favorite dishes, guests will also enjoy music, delicious drinks, and an extraordinary auction full of exclusive prizes and culinary experiences. Packages to be auctioned include a chef’s table at a premier restaurant, a week in Spain, and much more. The list of chefs for FLAMES includes Chef Anthony Bucco from Felina, Chef Ariane Duarte from Ariane Kitchen & Bar, Chef Mike Carrino from Pig & Prince, Chef Robert Cho from Kimchi Smoke, and Chef Ryan DePersio from Fascino & Kitchen Step. The title of the event was inspired by our staff’s ambitious goals for the months and years ahead. Proceeds from FLAMES will be instrumental to igniting CUMAC’s big crazy dreams for the future. FLAMES will be replacing a long-standing annual fundraiser, the HELP Dinner, and marks the beginning of an exciting new chapter for the organization. As we take steps to bolster our programs and stop hunger in northern New Jersey, the CUMAC staff wants the entire community to be a part of our vision for the future. 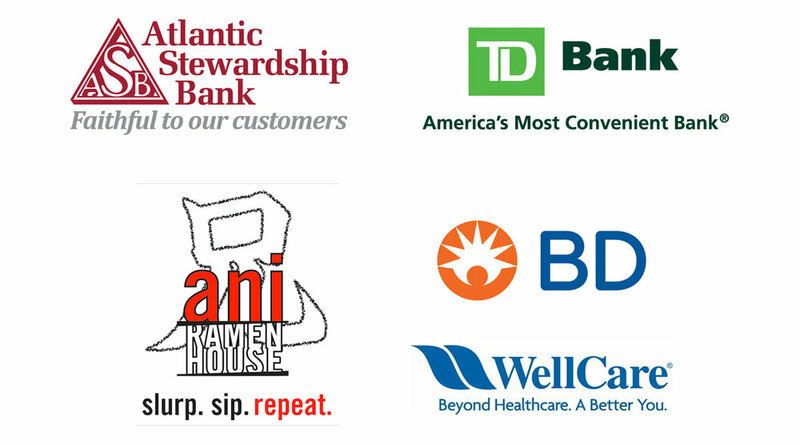 CUMAC has brought together a range of partners for the new event, including food sponsor Ani Ramen, and event sponsors TD Bank, Becton Dicksinson, and WellCare. Tickets for FLAMES go on sale Thursday, July 12 and all proceeds from the event will support CUMAC’s mission to feed people & change lives. Check back soon for more updates! With the help of Rebuilding Together and a grant from Columbia Bank, CUMAC’s pantry has a brand new floor! Old shelving has also been replaced with double tiered tables making the produce and groceries that CUMAC gives away more accessible. Clients are now able to easily select the sorted produce and bread that they want and fill bags given to them by CUMAC staff. Clients say that they enjoy the "shopping experience" and are grateful for the food, especially the fruits and veggies, they receive to supplement other resources. The layout is just one of many ways our team is aspiring to make clients feel more comfortable. The pantry team has also begun utilizing Oasis, a new cloud based database to track pantry usage. The system was put into effect by the Community Food Bank of NJ and will eliminate the need for client paperwork. So far, the new intake process has been a huge success, helping reduce wait times in our pantry and making the process much simpler for our clients and staff. Along with the new database and layout, our pantry is also changing its hours to improve client experience. Starting later this month the pantry will close from 11:30am until 12:30pm daily to clean and restock our shelves and tables to be certain that the freshest and best products are available to those who frequent CUMAC. We have more updates coming soon so stay tuned for more details. As we continue to make improvements within our programs, we want thank you for being a partner in our mission. Because of your support, our team is reaching new heights as an organization! It’s a warm spring day and CUMAC’s van pulls up to the corner of N 1st and Arch Street. A handful of clients stand outside, eagerly awaiting the mobile pantry’s arrival. Our team is greeted with warm smiles and hellos. They begin unloading their equipment and get to work. Every Wednesday you can find CUMAC’s mobile pantry on the north side of Paterson. It’s part of CUMAC’s ongoing efforts to reach underserved populations and ensure that none of our neighbors go hungry. For many residents in the north side, transportation is limited and that makes accessing community resources a huge challenge. Having services brought directly to our neighbors provides them with some much-needed relief. “This is a real blessing. I don’t know what I’d do without CUMAC” says one of our regular clients as he waits to pick up his groceries. Our team starts to process his paperwork, but it feels more like friends catching up. They talk about their lives and share stories while Jeni types away at the computer. Our client talks about his recent trip to the hospital, while our team carefully listens. Fortunately, he’s fully recovered and feeling much better. After a few minutes of chatting, our client thanks our team one last time, picks up his food, and goes on his way. As he walks out, I think about what I just witnessed. It’s hard to describe, but it just feels like community. That kind of attention and care is something that’s commonplace at CUMAC. Whether it’s in our building or on the streets of Paterson, CUMAC strives to serve our clients well and make them feel supported. As the morning goes on, clients filter in and out. Jeni and Marvin handle the intake process, while Isaiah stands ready by the CUMAC van, distributing groceries. Isaiah loves making our clients smile, so you’ll always hear him cracking jokes and finding a way to brighten their day. Between jokes, Isaiah carefully helps an elderly woman load her shopping cart, which she walks over from a senior residence down the street. “She wouldn’t be able to make it to CUMAC,” he says. “Nice that we can come to her.” Isaiah looks down the road as she crosses the street toward her apartment. She’s got a big smile on her face and a cart full of groceries to take home. She won’t have to worry about going hungry this month because there are people around her that care. That’s what being part of a community is all about, isn’t it? As we continue to serve more people than ever, supporters like you make our work possible. Please consider making a donation this month to support CUMAC’s mobile pantry and our other vital community programs. Together, we're creating a happier, healthier community. Looking for another way to give? You can now donate stock to CUMAC! For more information please call (973-742-5518) Laura Purdy. Akeera weathers, program coordinator, ASSISTING A pathways meMBER with her job search. 2018 has brought several changes around our building, including some exciting new improvements to CUMAC’s Pathways to Work Program. For those of you aren’t familiar, the Pathways program provides community members with opportunities for job skills training, network building, and professional growth. In an effort to strengthen the Pathways program, and better serve our neighbors, our team has been creating additional opportunities for our participants to learn and grow this year. As of April, CUMAC is now offering assistance with resume writing, recruiting tutors to help participants with GED prep, finalizing plans for a forklift certification course, and providing time and resources to aid participants with their job search. Hector, one of our Pathways members, has been part of the program since February. Hector had a good job working in a warehouse for several years until his branch was shut down. Being one of the newer members of the team, he was laid off. That was nine months ago and he’s struggled to find a steady job ever since. With two children at home, he is eager to get back to work. Pathways is helping Hector to become a more competitive job candidate, something that he’s grateful about it. Hector is particularly excited about getting the opportunity to work on different skills, like customer service, as well getting some guidance with his resume and the job search process. The experience has also helped Hector recognize some of his own strengths, the things that really make him stand out as a candidate, and that’s been a game-changer, as he is now able to talk about himself with more confidence - on his resume and in interviews. Hector isn’t where he wants to be yet, but he is making the most out of his time with Pathways and he’s done a great deal of learning in the four months that he’s been part of our team. He’s also become an asset to our operations, assisting with everything from deliveries to pantry distribution. With a staff that’s always working hard and working together, Hector has fit right in. Over the last 4 months, Hector has continued to impress our staff, often staying late to finish a project or to work on his professional development. With Hector’s talent and work ethic, we know that he will soon start a career that he loves. In the meantime, we’re happy to be providing training and experience that he can use to build a brighter future for his family. With your support, our team will continue to make improvements to this important program and provide more opportunities for community members like Hector. Thank you for making programs like Pathways possible. When we met Rich last spring, he was going through a difficult time in his life. He lost his job to downsizing and was struggling to get back on his feet. He worked temporary positions while he searched for full-time work, but the hours were always unpredictable and the wages were never enough to pay the bills. Rich eventually lost his home, and spent several months bouncing around between shelters. To make matters worse, Rich has struggled with addiction in the past, and the stress of being homeless only exacerbated his issues. He spent many nights on the streets, and this led him down a dark path. Rich knew he had to make some changes in his life, but didn’t know where to start. 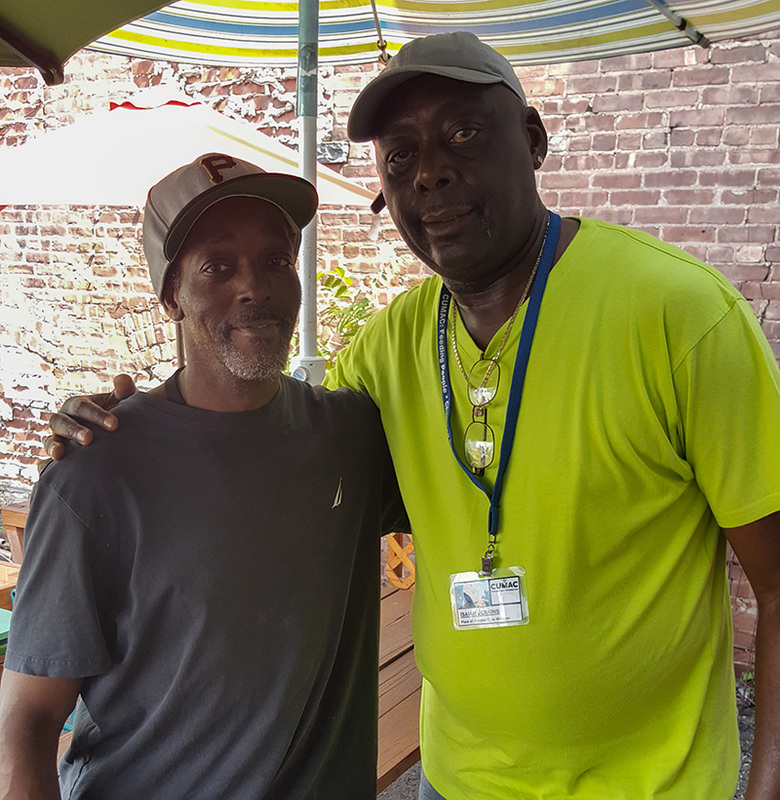 Fortunately, he found Isaiah, Case Manager for Place of Promise, CUMAC’s permanent supportive housing program. Fast forward one year and Rich’s whole world has changed. Thanks to support from Place of Promise, Rich has been able to turn things around. He’s now working full-time at a job that he enjoys, he’s able to pay all of his bills, and come home to a comfortable apartment, surrounded by people that he truly cares about and appreciates. When asked about his housemates, Rich’s face lights up with a smile. “Whenever I need some help, they’ve been right there for me” he says. Rich has grown in many ways over the last year, and his housemates have been a big part of his transformation. All of his housemates have been homeless at some point and many of them have faced the same issues that he's come up against. Having that sort of understanding and wisdom around him has been a powerful experience. Whether it’s in a house meeting or a one-on-one conversation, Rich has been taking it all in. Slowly, Rich has been building that foundation this year and it’s no surprise he’s feeling better than ever. Place of Promise has given him the opportunity to build the life that he wants, something that he’s grateful for every day. In fact, Rich regularly visits CUMAC just to share his gratitude. It’s hard to imagine that just twelve months ago Rich was in a completely different place, facing incredible hardship and struggling to imagine a life where he could move forward. When you talk to him now, he’s optimistic, talking about his goals, working hard, and excited about what will come next. 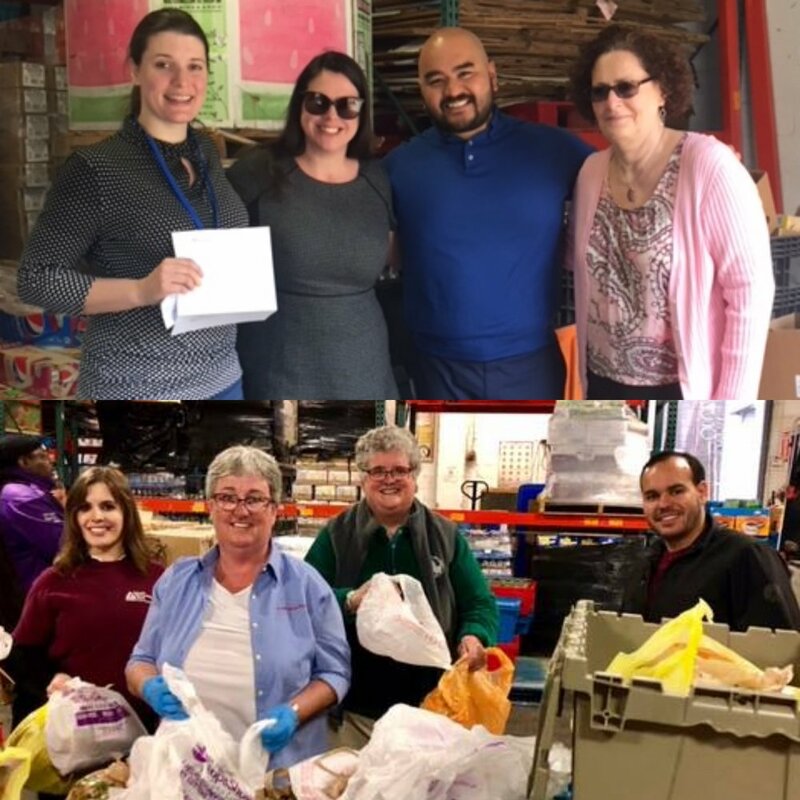 CUMAC would like to send a special shout-out to our friends at Atlantic Stewardship Bank and TD Bank for their unwavering commitment to our fight against hunger in New Jersey. Recently, TD provided a generous grant to support CUMAC’s Food for the Hungry project, which will allow CUMAC to serve even more people through our pantry, depot, and the Community Food Coalition this year. Along with coordinating various collections and volunteer days, Atlantic Stewardship Bank awarded CUMAC funding for its operations through its unique tithing program this spring. With CUMAC now seeing a major increase in clients, these funds are giving a vital boost to our programs and will help ensure that we can continue to serve all who come our way. Thank you TD and ASB for your continued support of our mission and programs. We’re grateful to have partners like you. Volunteers are needed! CUMAC is looking for individuals and groups to help sort, pack, and distribute food (Monday-Thursday) in our warehouse, especially during our morning hours. Volunteers are also needed to assist our drivers with their daily pick ups. If you’re interested in getting involved or want to learn more about ways you can volunteer this season call (973-742-5518) or e-mail our volunteer department. The Halloween 5K to Scare Hunger Away is back! Join us on Sunday, October 28 at Garret Mountain Reservation for our favorite run! With the help of the Barwick Group, this year promises to be bigger and better than ever. We’re also bringing back Team CUMAC, a fun way to get in shape and make a real difference! To learn more about the race team or how you can get involved please call or e-mail us.